I couldn’t remember buying this, and it turns out that I didn’t. It was forgotten by somebody at my apt, and he’s since gone onto become a theater instructor. 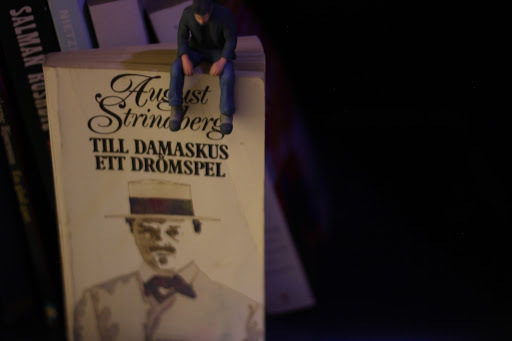 How appropriate, since this is a collection of two plays by August Strindberg. I probably get a more abstract impression of the plays than originally intended. I mean, they’re full of madness and symbolism (it’s Strindberg! ), but the Oldee Timey Swedish Grammar (from 1898) combined with the general christianey drift of the plot makes my brain not quite grasp what’s going on all the time. But the plays are definitely powerful. And quite amusing in places.